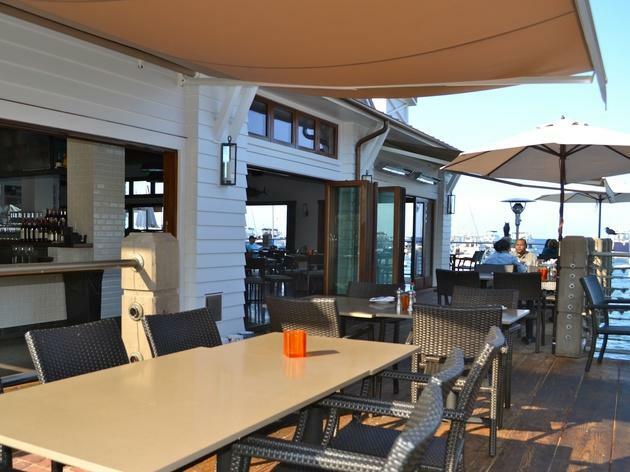 Find the perfect Catalina restaurant or bar for your weekend getaways, from seaside mussels to waffles and buffaloaf. 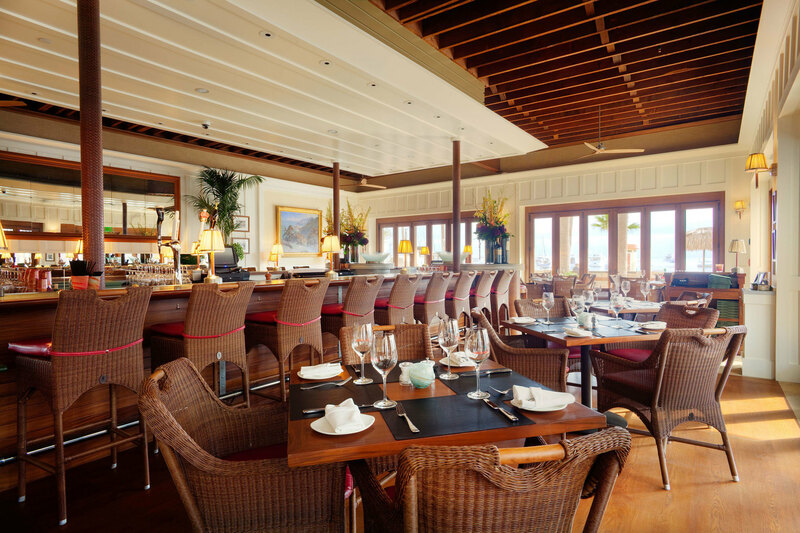 Looking for the best Catalina restaurant or bar for your weekend getaway? 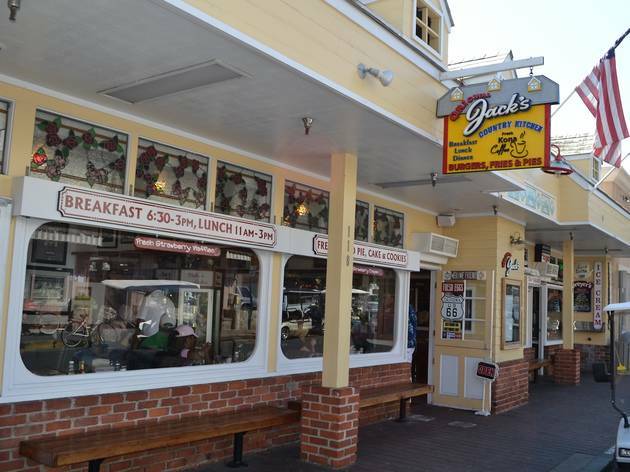 From oceanside dive bars to fresh, affordable seafood, the town has lots to offer. 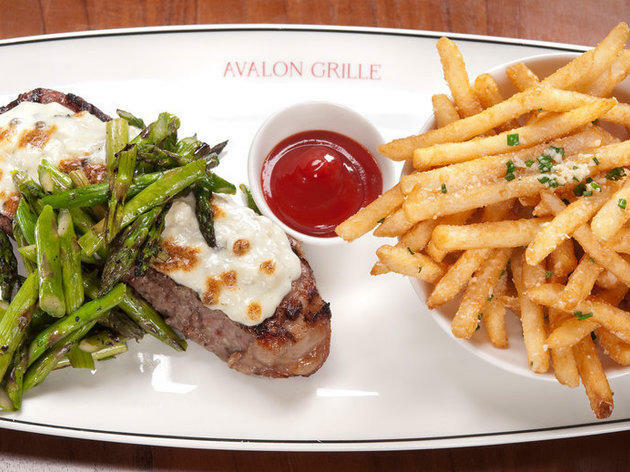 Yes, a lot of Avalon's eateries look like tourist traps, but they offer up solid fare with a fun, laid back ambiance whether you're looking for fine wine or waffles. 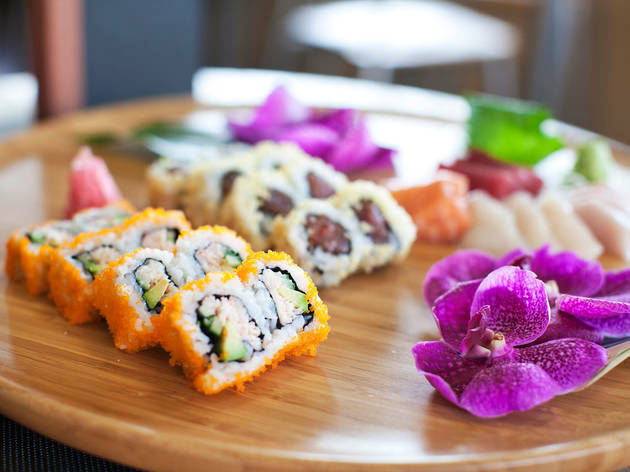 There's a surprising amount of diversity on island, as well: You can get a vegan, gluten-free lunch down one street and sushi down another, if fried fish or gooey pizza seem a little too heavy. 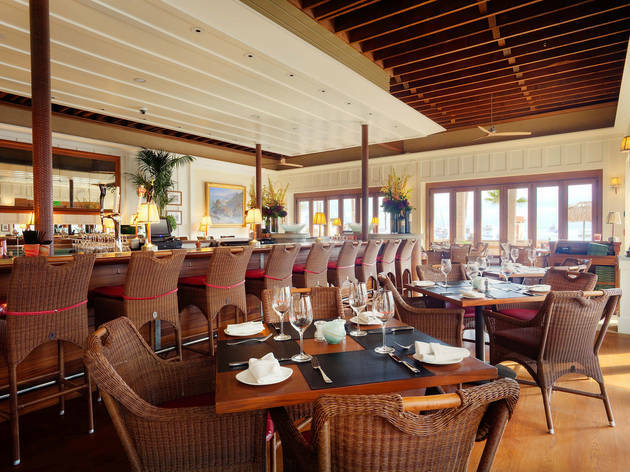 Whether you want brunch, picnic fare for the beach or a romantic dinner overlooking the ocean, read on to see our top picks for where to eat and drink in Catalina. 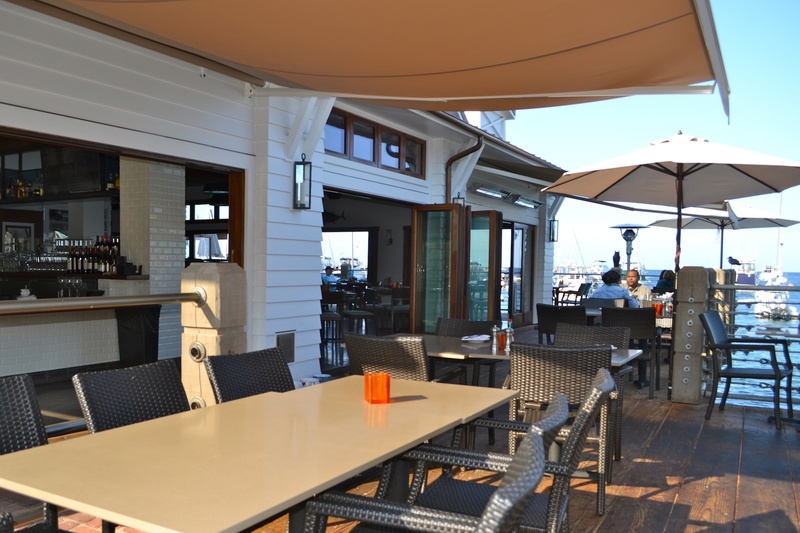 One of Avalon's newest restaurants, Bluewater Grill is the kind of classed-up seafood joint you'd find on a pier in a great beach town. Though this one isn't on Avalon's pier, it does sit above the water. The fish is fresh, the menu has a full range of classic seafood plates and twists on originals, and the cocktail, beer and wine offerings are sophisticated (the cilantro-lime mussels appetizer is also a highlight). In summer, reserve a table on the patio or in winter, cozy up at the bar with a beer and chowder. 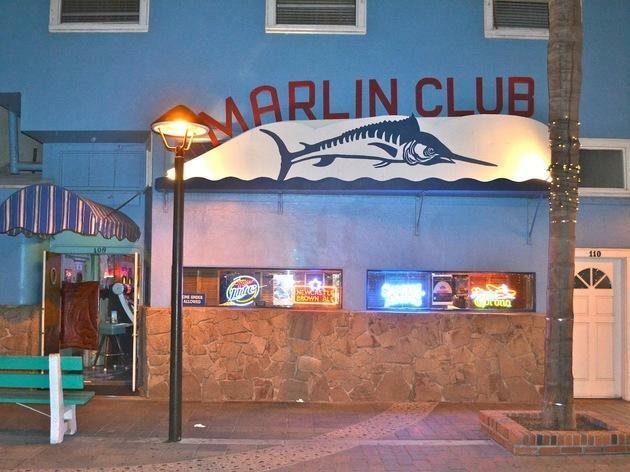 The Marlin Club is Avalon's signature dive bar, complete with jukebox, pool table and darts, bartenders who are equal parts surly and friendly, and lots of crap on the walls and ceiling. It's where locals tie one on and return visitors come to see who's in town and looking to party. The place has a ton of character, and is a must-see during your visit, even if you're not into boozing. 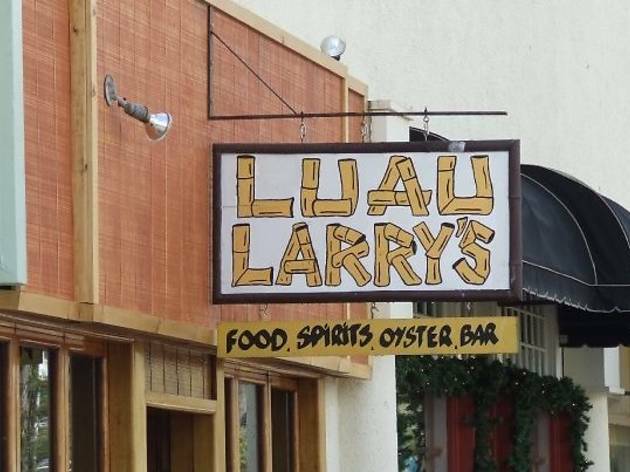 This little shop is one of Catalina's most endearing oddities. Is it a coffee shop? 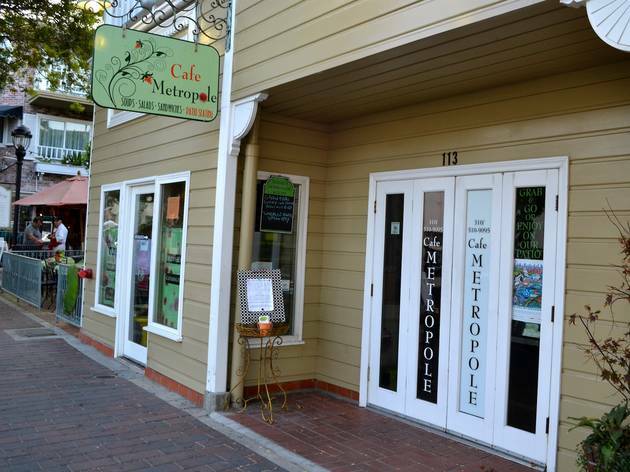 Sundries shop, wine shop, gelato bar, magazine stand... sushi restaurant? Luckily for Avalon residents (and visitors), it's all of these things rolled into one. Grab an espresso or a cup of Italian ice cream, then shop for a perfect bottle of wine or some sweet-smelling hand creme with SPF. 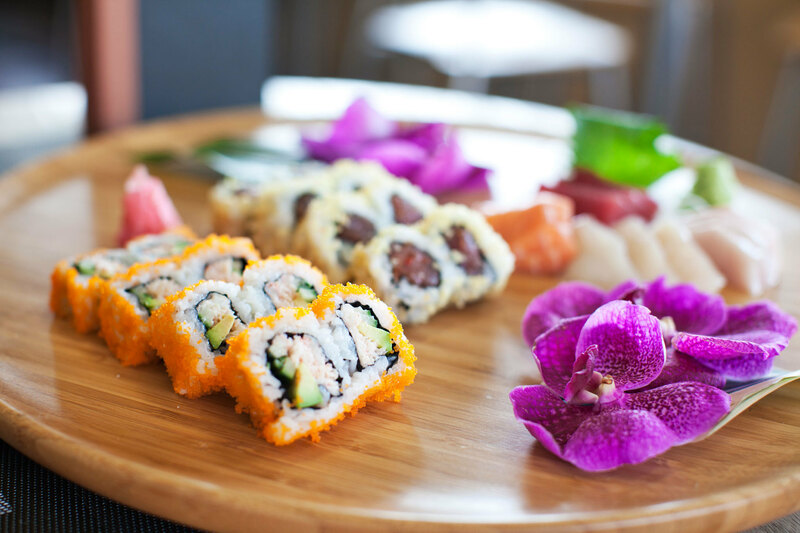 Or, if you've had one too many buffalo burgers, sit down for a light lunch of salad or sashimi—it's actually pretty good. Got a hankering for waffles? 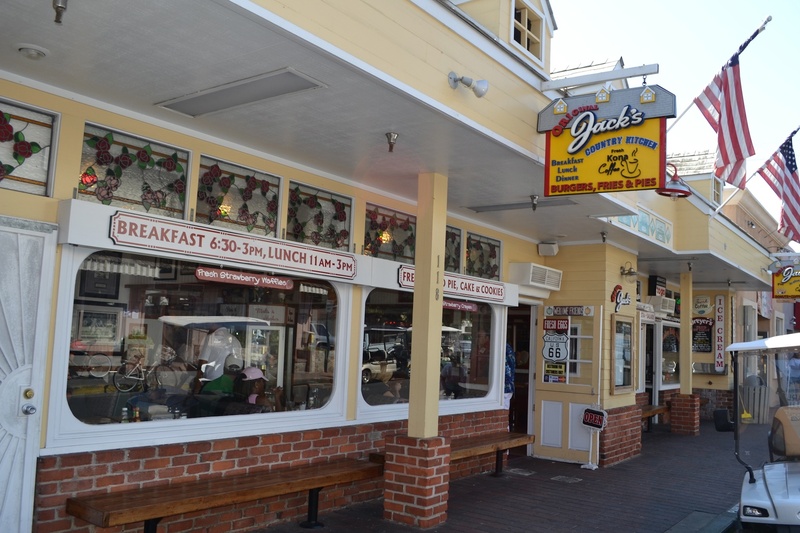 Skip the most obvious joint (Sally's Waffles are overpriced and quite possibly EGGOs) and head around the corner to Jack's. The food is hearty (they're known for burgers, fries and pies, as well as a delicious country breakfast) and the atmosphere is cozy and nostalgic. The food isn't just tasty, it's high quality too—Jack's uses Niman Ranch beef and pork and Jidori chicken. The spot is most crowded at breakfast (and we reocmmend putting up with the wait), but you can stop in anytime for some Kona coffee or an ice cream treat made with Hawaii's famous Lappert's ice cream (way better than Big Olaf's on the water, which serves Dryer's). 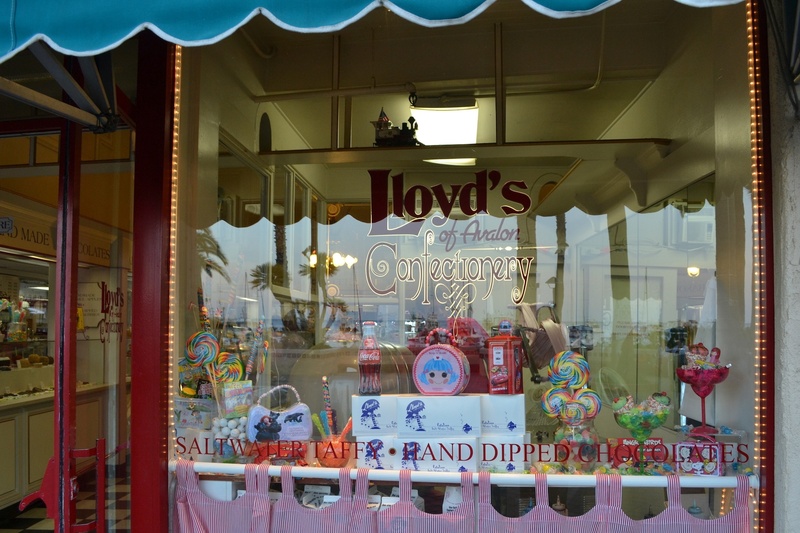 The first thing you might notice about Lloyd's Confectionary is the giant taffy pulling machine in the window. 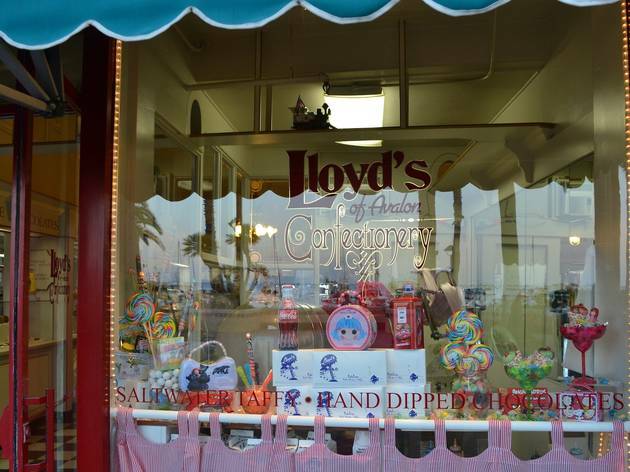 Everything in the cases is homemade, from the candy apples to the fudge, and Lloyd's has been using the same salt water taffy recipe since 1934. It's okay if you go a little nuts in Lloyd's—you're on vacation. Be that kid in the candy shop. 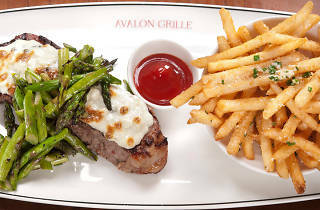 This is the place to go for upscale dining in Avalon. The service is impeccable (quite possible better than the food itself), and the ambiance is laid back yet refined (you may feel a little out of place in shorts and sneakers here). The food is solid and most portions are big, so think about splitting a few dishes if you're dining with friends. 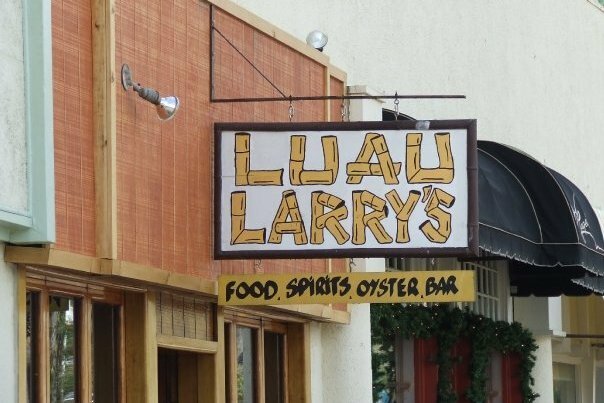 The patio is lovely at sunset, though the bar is another option, especially if you're interested in hearing some island lore from the bartender. For dinner, try the half fried chicken or the buffalo ribs with ancho espresso rub, yum. This little dive is colorful, quirky and best known for its signature drink, the Wiki Wacker. If you notice inebriated folks stumbling down the waterfront in big, funny hats, chances are they've had their "wikis wacked," which essentially means they've paid a little too much for a stiff drink (light rum, brandy, pineapple/orange juice and grenadine) that comes with a big, funny hat. 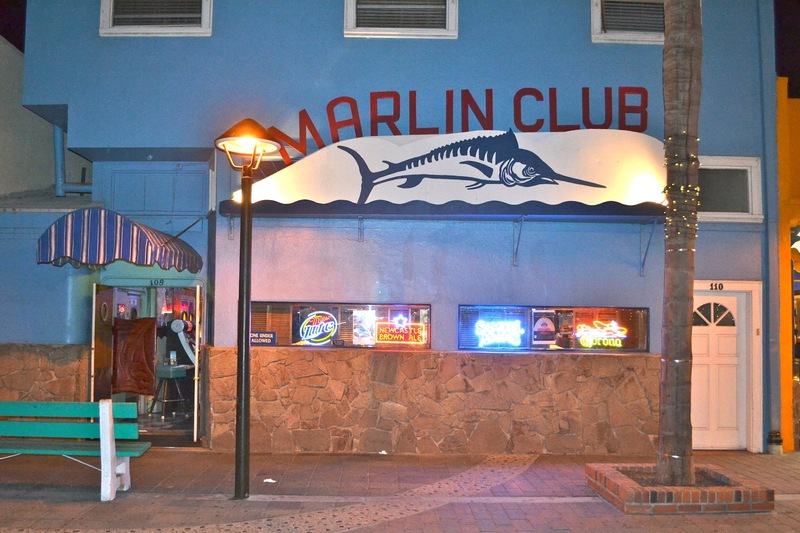 The spot also offers live music on occasion, as well as decent bar food—Wednesday is Cheeseburger in Paradise Night, heyo! 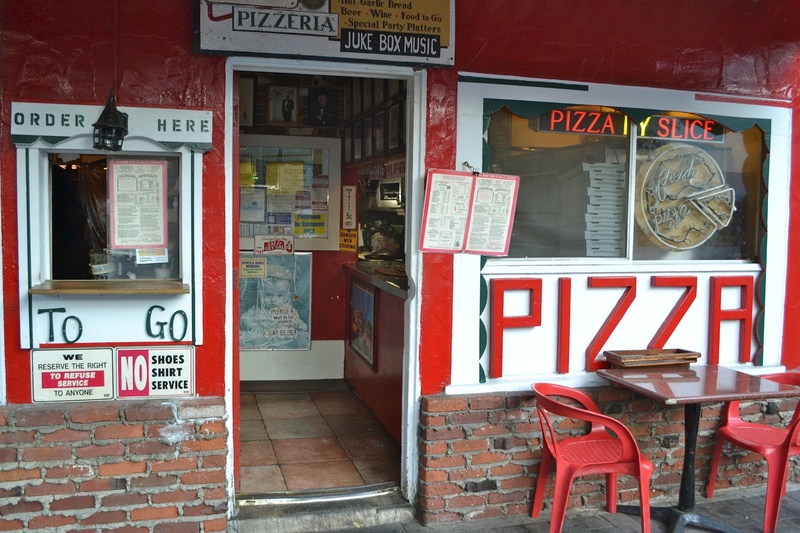 After a sunsoaked summer beach day (or a cool winter one) in Catalina, hot pizza starts to sound pretty good. 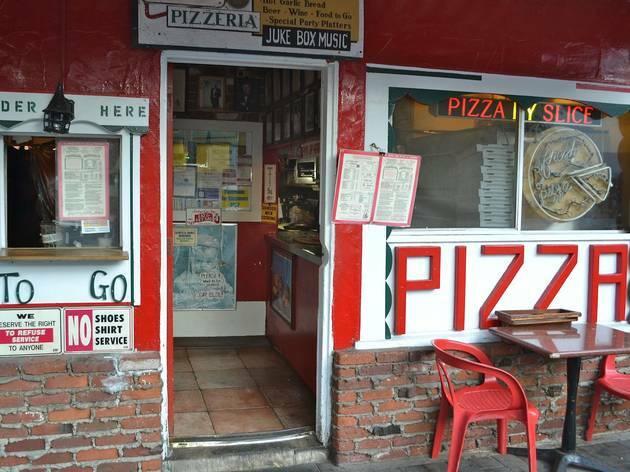 Island locals head to the Original Antonio's Pizzeria & Deli for a slice or two on a red-checkered tablecloth. Play oldies on the '50s jukebox and check the menu for the "buffaloaf" special. To find the Sandtrap, head towards the hills, and if you see a golf course, you're definitely close by. 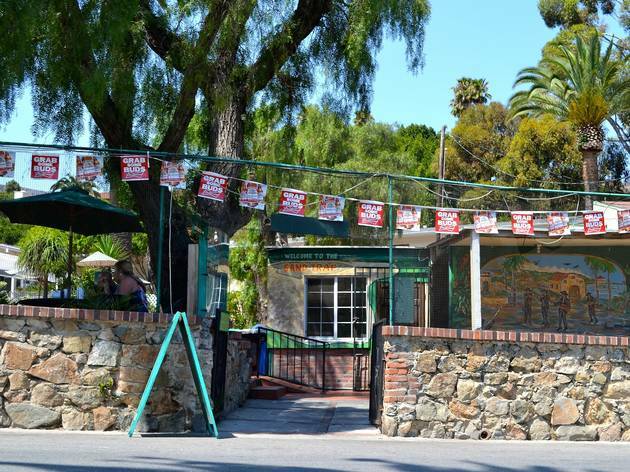 It's a locals or visitors-in-the-know spot—an Avalon fixture for several decades with cheap drinks and food (make sure you stop by for the happy hour specials on beer and tacos). There's plenty of seating and a welcome atmosphere on the patio, plus a view of the golf course (if you're into that). 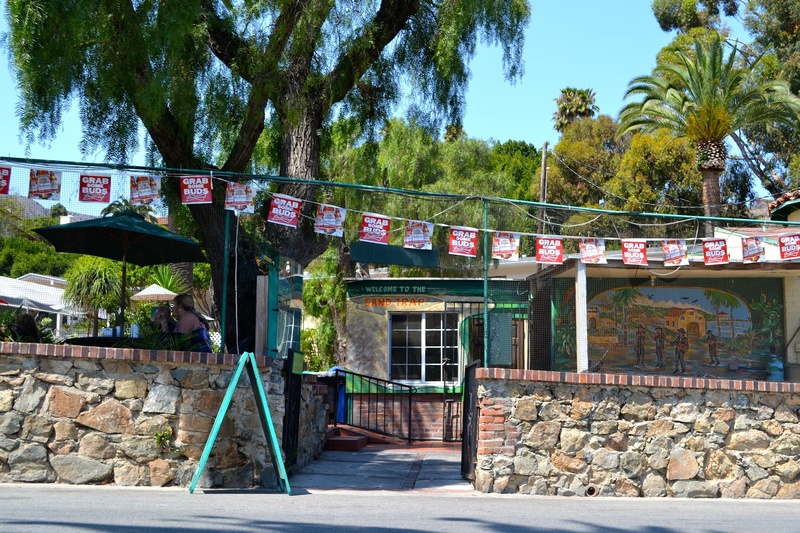 It's off-the-beaten tourist path, so if you're not crazy about waiting for a table at a restaurant on Crescent Avenue and you wouldn't mind (or would prefer) talking to some friendly locals, the Sandtrap is where you should go. 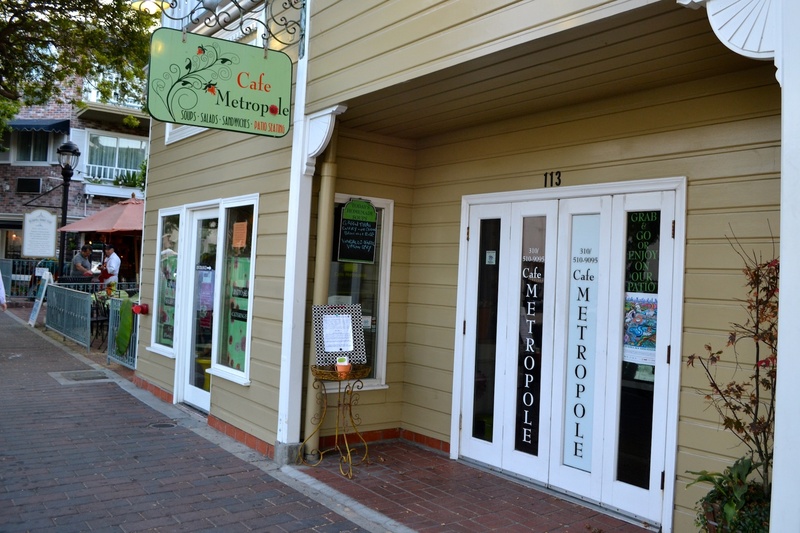 This cute little cafe boasts al fresco dining and a healthy, alternative menu to most of the island's offerings. (We know Angelenos get a little anxious if there's no quinoa salad for miles.) Here you'll find vegan, vegetarian and gluten free options like roasted veggies and falafel, as well as nods to cuisine around the world, with dishes such as the Argentine beef sandwich with homemade chimichurri sauce ($9) and the crab salad with cilantro and spicy sambal ($12). Dine on the patio or grab a sandwich to go for a hike or trip to the beach.